Dr. Ronald Baenninger of Doylestown, PA, died suddenly on March 29, 2019, at the age of 81. He was born in 1937 in Yokohama, Japan, where his intrepid parents, Hans Baenninger, a young Swiss from a small town near Zurich, and his mother, Ethel Kyle,a Canadian from a farm family in Saskatchewan, went to start their careers. Ron was raised in Yokohama until the age of 5, when his family was able to leave during wartime in 1942. This made for an exciting nautical journey for a young boy, one that he never forgot, under cover of darkness to some of the most interesting parts of the world. After leaving Japan, Ron grew up first briefly in Saskatchewan, then Montreal, where his younger brother Martin was born, and finally in Montclair, New Jersey, where he would go to high school, meet his lifelong best friend Terry Meyer, and eventually become a naturalized citizen of the United States in 1955. Throughout his life, Ron maintained a love of things Japanese, and fond memories of the kindness and caring of his parents’ Japanese colleagues and friends. In his later years, he spent many hours watching Japanese television, and found it restful and comforting. Ron’s love of cars and all things mechanical took him to Stevens Institute of Technology, where he earned his bachelor’s degree in mechanical engineering. He went on to Carnegie Mellon University (then Carnegie Tech) to earn a master’s degree, that together with his engineering degree, should have taken him far in business. But what Ron really loved, both at Stevens and Carnegie, were research psychology and the arts. He went on to earn a Ph.D. in psychology at Johns Hopkins University and to begin a forty-year career as a professor and research psychologist at Temple University. Ron was a great teacher, and a respected colleague and researcher in the field of inter and intra-species aggression, serving for more than two decades as Editor-in-Chief of Aggressive Behavior, the premier scientific journal in his field. Ron is one of fewer than two dozen scholars who have been honored as life fellows of the International Society for Research on Aggression. In the later years of his career, Ron developed an interest in studying common human behaviors that are rarely studied, and he became known as one of the worlds’ foremost authorities in yawning. Ron and his spouse MaryAnn married in 1986, and for more than thirty years supported each other in their careers in higher education. 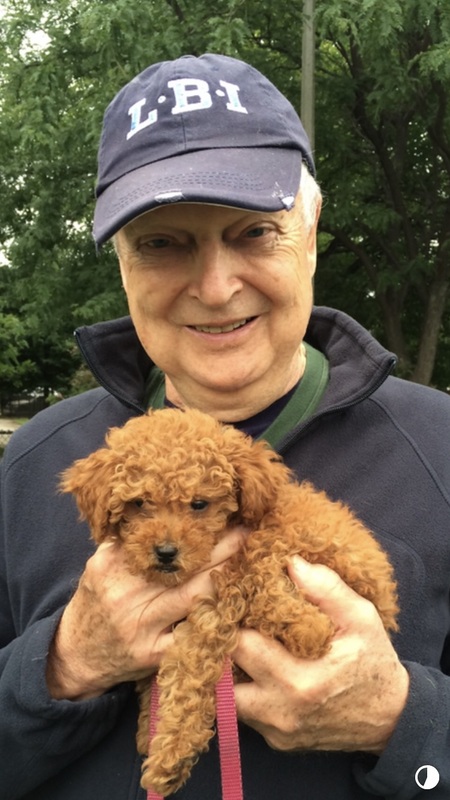 Ron retired from Temple University in 2007 to become “first spouse” for each of MaryAnn’s two college presidencies, first at College of Saint Benedict in St. Joseph, Minnesota, and then at Drew University, in Madison, NJ. Ron was very much at home in both of these places. Ron’s first love was being in the company of family, friends, and any creatures from the animal world, but most especially dogs. An avid reader and lover of mysteries, he was almost always found with a book in his hands. He loved walking on the beach, especially on Long Beach Island, and he was a lifelong environmentalist, conserving and recycling before it was common. Ron was an excellent cook whose recipes will live in the family for generations. He enjoyed and excelled at acting and singing, and for most of his life he was involved in both. He became an expert on cars at a very young age, and he developed an extensive collection of vintage auto brochures, procured by frequenting local auto dealerships as a child and “talking up” the salespersons and mechanics, and he collected model cars that he shared with his grandchildren. Ron was very loved and will be deeply missed by his family and the many circles of friends he formed during his life: Ashby and Ginnie Saunders, Ann and Dave Shenkle, Terry and Betty Meyer, the Temple gang, the Carnegie/Pittsburgh crowd, his graduate students, Phillips Mill Players, Saint Ben’s friends, the Sisters of the Order of Saint Benedict, and the Drew retirees who adopted him. Their descriptions of him are remarkably similar; he was gentle, kind, warm, thoughtful, interesting, and interested. Ron is survived by MaryAnn, his spouse of thirty-two years, his children and their spouses, Maggie Baenninger Nass and Karl Nass; Dan Moore and Lucy Cucciniello Moore; grandchildren Lukas and Sela Nass, and Jack and Luke Moore; his brother and sister-in-law, Martin and Celia Baenninger, nephews Christopher and Olivier Baenninger and their families; and the extended Kyle and Bänninger families of Canada and Switzerland. Family and friends will gather for a celebration of Ron’s life on Saturday, May 25, 2019, in Doylestown, Pennsylvania.